For many around the world, 2016 was a turbulent year of political and social unrest that brought into the limelight issues of rampant nationalism and ethnocentrism: the refugee crisis, Brexit, the “alt-right” white supremacist and nationalist movement in the US, and the election of Donald Trump are just a handful of examples. The hierarchies of difference and the rhetoric of divisiveness that give power to these issues reflect the danger of an I-versus-the-world dialectic that insists the lives of the citizens of one nation are more important the lives of another. Against the divisiveness of these times, the re-issue of Yoel Hoffman’s The Sound of the One Hand: 281 Zen Koans with Answers provides a breath of fresh air with poetic teachings from Zen masters on the universal one-ness of all existence. While it may sound like a paradox, the sound of the one hand in fact illustrates the Zen notion of a universal one-ness that stands against divisions of any sort, be they nationalist, linguistic, ethnic, gendered, racial, or other. Resistance to the idea that the self is separate from the other, that the individual is separate from the world, rests at the core of Zen Buddhist philosophies. 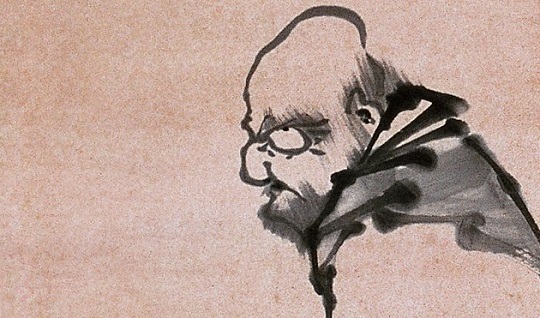 As Dror Burstein explains in his introduction, the individual in Zen is nestled in a network of interconnected actions, reactions, and processes. The individual in such an existential view resembles what the twentieth-century Zen master Shunryu Suzuki called a “revolving door,” where inner and outer, the internal world and the external, are at all times connected. An understanding of the self in such a way, Burstein suggests, “can define our more expansive self, our ‘greater I,’ as opposed to the “I” circumscribed by our national, social, professional, and ethnic identities”. The koan, or riddle, from which the book takes its title is a lesson in universal harmony. It begins with an exchange between master and pupil when the master demands, “In clapping both hands a sound is heard; what is the sound of the one hand?” According to the Inzan school, the correct answer is, “The pupil faces his master, takes a correct posture, and without a word, thrusts one hand forward”. Various Zen schools follow this same discourse, but for the Takujū school, the pupil’s answer may be “The sky is the one hand, the earth is the one hand; man, woman, you, me are the one hand; grass, trees, cows, horses are the one hand; everything, all things are the one hand”. Both the insistence of the non-verbal one hand thrust forward and the eloquence of the voiced response embrace the same notion of universal connectivity and one-ness. The one hand thrust forward represents the essence of all hands, one being no better and no less than any other hand, so that the sound of the one hand is also the sound of every hand. The hand’s representativeness of a universal hand-ness is akin to the cosmopolitan spirit of humanist universalism while also upholding diversity through the uniqueness of the one hand.